Some potentially helpful tools for your ninjas kit, Cover of Darkness , Dire Undercurrents , Larceny and Coastal Piracy . I don't have much experience with ninja decks but looks fun. Bear Umbra goes inf with najeela. 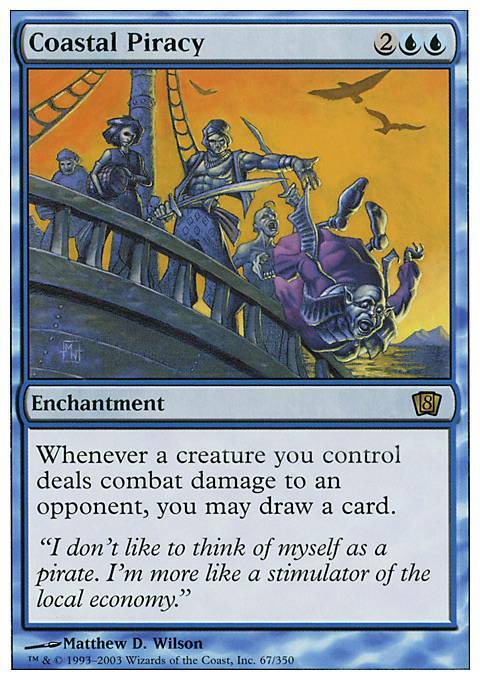 Bident of Thassa , Coastal Piracy , Keep Watch and Benefactor's Draught are brilliant sources of draw for a najeela warrior deck. I found keeping the pace up very difficult if an early game rush is answered. These cards keep your hand stocked well. Then Bident and Coastal Piracy would be sweet inclusions! Also, spend life until you are at 1. It is the easiest way to explain it. It isn't always true, but will get you there with cards like Night's Whisper or Necropotence 85ish% of the time. I didn't use a strawman fallacy. I was told repeatable draw, of which well is, is better than single-draw, of which recall is. That isn't a fallacy, it is called taking extremes, an argument tool by ancient greek philosophers. I can see the issue. Also, Brainstorm sees cEDH play everywhere, nearly always a worse Ancestral Recall by a lot, Rhystic Study sees play in maybe 1-2 stax lists that have blue in them. Not even a fair fight with RS. Mystic Remora or Necropotence ? Then we can have an argument over which would be more powerful, however Recall would still win. Read the other alternatives. Am I saying Arena can't be good? No. A 10 mana 10/10 with no abilities can win many games, that doesn't make it a good card when there are better alternatives. Opt is fine, but Brainstorm is a lot better. The same is true for Arena. It is a worse Dark Confidant in competitive games, it is a worse Rhystic Study in casual, it is a worse Necropotence is both, and it is worse than Read the Bones , Night's Whisper , and plenty more draw spells in a multitude of casual and competitive games alike. Hey, nice start, but The Locust God is fueled by mass draw spells and I don't see very many here. Archivist is good and his ability is called a wheel. You'll hear this term a lot in Commander and what it means is all players or just you shuffle some number of cards from hands and/or graveyard into library and then draw cards. 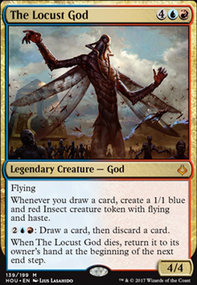 This effect is very good with Locust because he triggers for each single draw therefore if you draw seven cards you make seven 1/1 Insects. 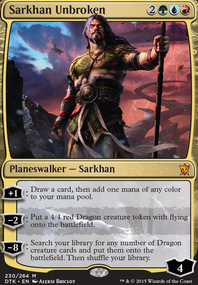 Drawing seven of more cards from casting one card is very good. Windfall : wheel for all players. Whirlpool Warrior : two wheels, one for you and one for all players. Skullclamp : with Locust depending on how much mana you have is a lot of draw and 1/1 Insects. By equipping a 1/1 Insect this kill it, but as a result you draw two cards and make two more Insects. Blue Sun's Zenith : reusable mass draw. 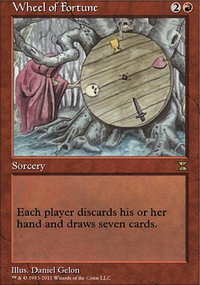 Magus of the Wheel : wheel for all players. Whirlpool Rider : wheel for you. Bident of Thassa : draw cards when 1/1 Insects hit an opponent which makes more insects. Coastal Piracy : same as Bident. Mystic Remora : one of the best sources of repeatable draw in multiplayer Commander. Library of Leng : another effect of no maximum hand size. You already have Tower that does this, but some redundancy is helpful for this effect since it's pretty important to have when drawing a lot of cards. Psychosis Crawler : make your opponents lose life when you draw cards and it can get very big. Impact Tremors : whenever a 1/1 Insect token is created this does 1 damage to each opponent. Expedition Map : tutor for Reliquary Tower.